You may receive updates from Divest Gainesville, the sponsor of this petition. 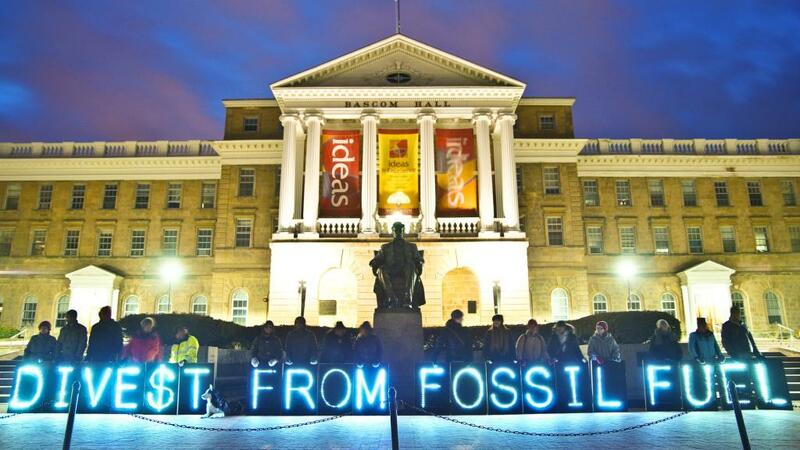 The divestment movement across the country is growing. In city after city, the people are asking their city officials to take note: it's time to divest our public money from fossil fuels, private prisons, and the disenfranchisement of Native peoples that allowed the Dakota Access Pipeline to be approved at Standing Rock. Earlier this year, Native organizers in the wake of Dakota Access re-energized the divestment and boycott movements ignited by civil rights activists decades ago, calling on our cities to pull their funds from the banks that fail our public values by funding pipelines and private prison and detention centers. In Seattle, organizers successfully campaigned for Seattle to withdraw its $3 billion in funds from Wells Fargo. Davis and Santa Monica, California followed suit, and similar campaigns are now underway in numerous cities across the country. Here in Gainesville, our city has approximately $120 million in public funds, which are held primarily with SunTrust Bank. SunTrust indirectly funds Sabal Trail Pipeline in our own backyard. SunTrust, along with 5 other major banks in this country, funds GeoGroup and CoreCivic (formerly Corrections Corporation of America), the two largest private prison and private detention center corporations in the world. Private prisons are responsible for locking up nearly 20% of federal inmates in this country, creating a financial incentive for the widespread incarceration of poor people and people of color that is devastating communities across the nation. Divest Gainesville came together this summer to respond to the Native-led call for individual and municipal divestment. We are honored to have recently received sponsorship from the Alachua County Labor Coalition. Divest Gainesville wants to see our city withdraw its public funds from SunTrust Bank and review our $350 million in city employee pension funds for ties to fossil fuels and private prisons as well. We are currently researching the most socially responsible alternatives for local city banking, and plan to bring forward suggestions to the Mayor and City Commissioners. As the Native divestment movement in this country says, “Mazaska talks,” (money talks), and indeed, it is the only thing that will have vested corporate interests listen. The time for a change in how we invest our tax dollars has come. That time is now. Let's move our public money out of the institutions that our destroying our communities and our planet, and into life-serving and life-preserving institutions that reflect our love of justice, sustainability, and a world that works for all of us. For more information, contact DivestGainesville@gmail.com. The City of Gainesville has approximately $120 Million in operating funds, and a contract for banking services with SunTrust Bank for the term of October 2017-2022. SunTrust has invested $435 million in companies that built the Dakota Access Pipeline in violation of Indigenous sovereignty and nation-to-nation treaties and threatening the waters, lands, sacred sites and burial grounds of Indigenous Nations. SunTrust has invested $105 million in companies building the Sabal Trail Pipeline, which threatens to contaminate our water supply, and to disproportionately affect the 80% poor and minority residents along the project’s route with threats of explosions and dangerous emissions. The city’s general employee pension fund contains approximately $355 million in investments, including one managed by Harvest Fund Advisors whose benchmark is Alerian, consisting entirely of Master-Limited Partnerships that are energy (and most predominantly) fossil-fuel based, and with other funds that likely contain fossil fuel and private prison investments as well. The city currently does approximately $8 million in business with Bank of America through city employee purchasing (“P”) cards. Bank of America has similar ties to the fossil fuel and private prison industry as SunTrust. These criteria include non-investment and non-provision of loans, credit, bonds, or similar debt instruments, or underwriting services to (a) entities organized to carry out the construction of fossil fuel pipelines, (b) entities organized to carry out constructions, and (c) entities that violate indigenous sovereignty, as defined by the standards set out in the International Finance Corporation's Environmental and Social Sustainability Performance Standard 7; Articles 11, 12, and 25 of the United Nations Declaration on the Rights of Indigenous People; Indigenous People's right to free, prior, and informed consent; and the treaties of the United States. The City of Gainesville direct its investment advisor to conduct a thorough review of its holdings for fossil fuels and private prison-related stocks. We recommend that the City compare on a risk-adjusted basis similar investments that are fossil-fuel free. Many other esteemed investors such as New York Common and Harvard Endowment have already decided to remove fossil fuels from their portfolios. We, the people of Gainesville, want Gainesville's public financing to reflect our public values of care for our community, our planet, and people of color, including our Native brethren. As such, we want to see our city follow in the footsteps of numerous other cities across the nation which have said "no more" to fossil fuels and private prison investments, and "yes" to socially responsible financing of our public money. The time for our city to state its commitment to socially responsible investing for a sustainable and socially just future for our community and our planet is now.